It’s been a big week for comic books on the small screen, with big news coming out of both major comic studios. The biggest news of the week was the official announcement that the rumored Flash spin-off from the CW’s Arrow is happening. 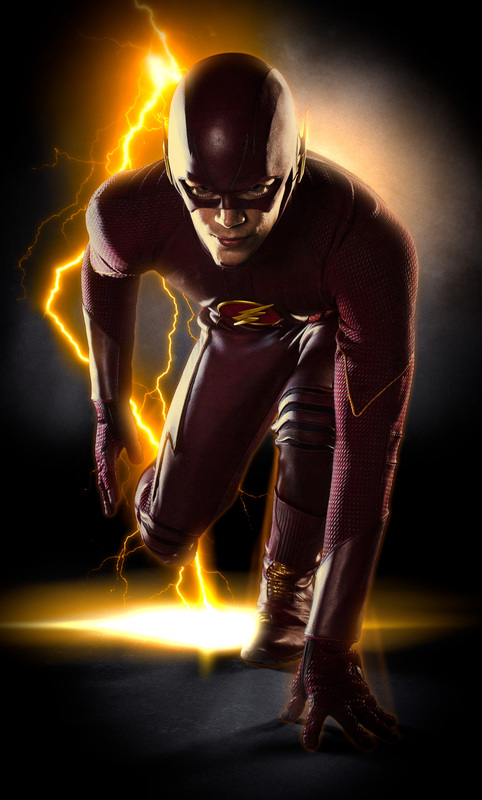 Grant Gustin made his first appearance as Barry Allen (my favorite Flash) on Arrow early in the second season. The Gustin/Allen quickly became the subject of rumors speculating that DC’s iconic speedster would get a show of his own, bringing more of DC’s superhuman subject matter to the small screen. Nerd, thy wish fulfilled! However, this news begs the question: with a rumored Justice League film just over the horizon, is Warner Brothers thinking about how to reconcile a Flash TV show with the Flash’s role in the JLA? Given both DC’s and Warner Brothers’ track records to date, I expect not… Unless they’re going to go for a “Fractured Flash” Crisis angle and end the JLA movie by retconning it, and all the media that preceding it, and release a whole slew of subpar reboots… yup, that’s the ticket (not that I’m bitter or anything). But DC’s hits don’t stop coming. A couple months ago Fox announced Gotham, a show about Detective Jim Gordon long before he becomes the police commissioner best known for collaborating with a certain aerial rodent themed vigilante. This week, showrunner Bruno Heller (whose credits include, muh’frickin’ ROME, one of HBO’s strongest series ever), broke the silence and shed some light on Gotham’s structure and tone. Heller allayed some of my biggest fears: that the show would be too procedural/monster of the week, for instance (it’s going to be serialized), but he also reinforced some of my other concerns—for example, that the first season will include a parade of references to Batman’s allies and rogues gallery in their youth, which might be excellent fan service for Batman aficionados, but may go over the head or otherwise alienate the average viewer. Regardless, I trust Heller to do something great with DC’s characters, if for no other reason than that the dude wrote for Caesar. All this news suggests to me that DC is making a big play on TV, with three major series slated to air next year (including a third season of Arrow. Four if you count iZombie, which I do not, thank you). However, only Arrow and Flash seemingly have any alignment with a core vision. Besides being on the same network, there is obvious space for crossovers between the series, and for large-scale storytelling, the likes of which Marvel is already richly exploring. Gotham, while achingly cool in theory, looks to continue the conceptual fracturing that has thus far plagued DC’s multimedia efforts. Get it together guys. Not to be outdone, Marvel had a few big announcements this week as well. First, Agents of Shield has been renewed for a second season. If you had asked me what I thought of that in February, I’d have laughed at the idea. Now in May, with the marked improvement in storytelling, the heightened stakes, and a clear willingness on the part of the creative team to flip the script, I am all in. Shield has definitely got me for another season. But it doesn’t stop there. The most surprising news of the week award goes to Marvel for their announcement of an Agent Carter of Shield series. That’s right, Hayley Atwell will be reprising her role as Peggy Carter, a year after Steve Roger’s disappearance at the end of World War 2. The show will apparently focus on missions Carter conducts for Howard Stark and the formation of Shield (and hopefully the inception of the Hydra cell within Shield as well). Super excited for this one—especially if they manage to tie in some of the Howling Commandos as well. It’s been said, but I’ll say it again: we live in a golden age of television, even as the medium is transforming (I’m hotly anticipating Marvel’s Netflix series). More significantly, as a comic fan, I feel I can safely say that we’re living in a golden age of entertainment, writ large. I love that a comic book connection is no longer the kiss of death for a show or movie. It’s almost vindicating. So long as the quality stays up there, I think we’re still only at the beginning of the trend. Knock wood.